Freedom Rockz: Win $50K for your Child's College Fund! Win $50K for your Child's College Fund! 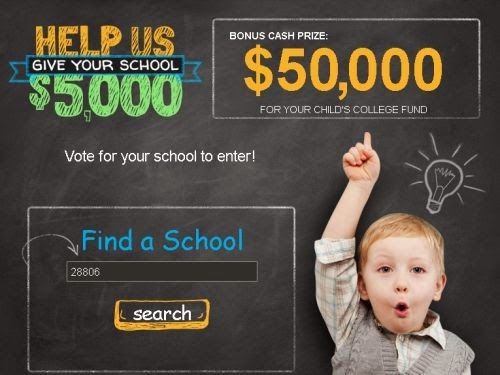 Win $50K for your Child's College Fund! ForTheSchools.com is giving away $5,000 to the schools receiving the most votes between now and September 30th. The next 5 schools will get $1,000 each. Everyone who votes with Facebook is entered to win $50,000. Click the link below to go "like" them on Facebook & then click the link to go vote for your school.